adapted for school APPS or be read at meetings and assemblies. If you have any difficulties opening items please contact us. 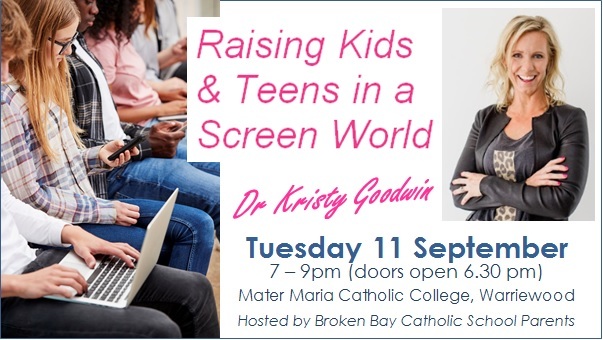 This engaging seminar for parents, grandparents and caregivers of students Year 4 – Year 12, will give simple strategies for managing screen-time at home without tantrums, and without having to constantly fret about online safety. 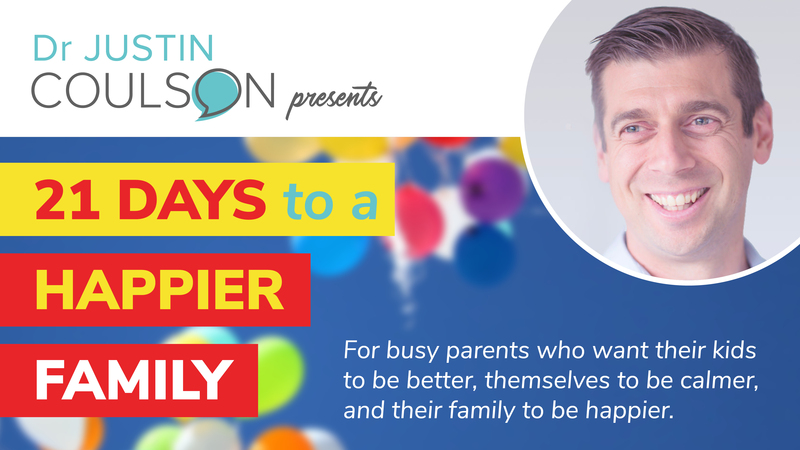 Being a parent in today’s digital world can be a confusing task? 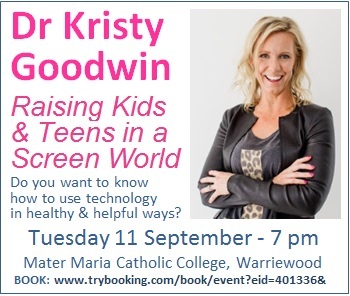 Do you want to know how to become the pilot of your family’s digital plane with some realistic advice to enhance learning and safeguard your child’s physical and emotional health? 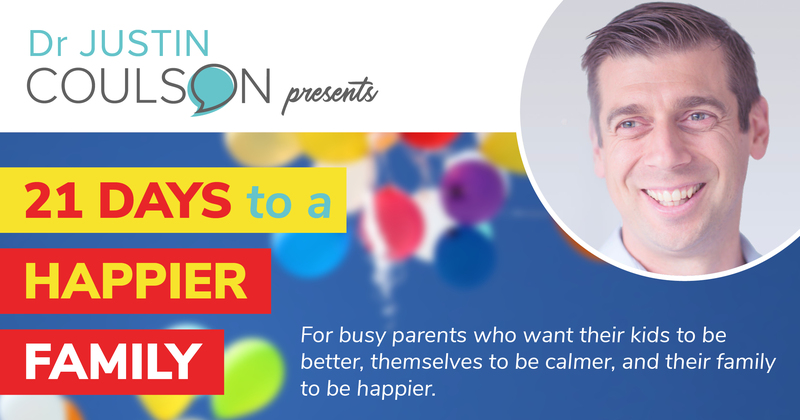 This engaging interactive seminar will arm parents, grandparents and caregivers with simple strategies to manage screen-time at home without tears and tantrums (yours and theirs! 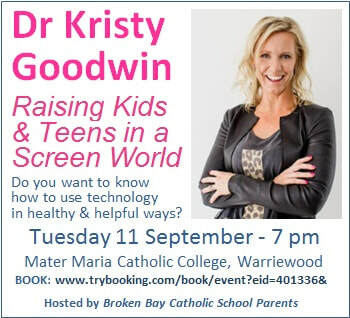 ), and without having to constantly fret about online safety. 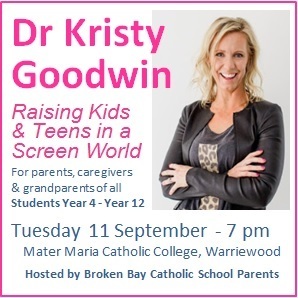 This free presentation is aimed at every Catholic school parent, grandparent or caregiver of students from Year 4 – Year 12, as well as teachers and all those who care for children. 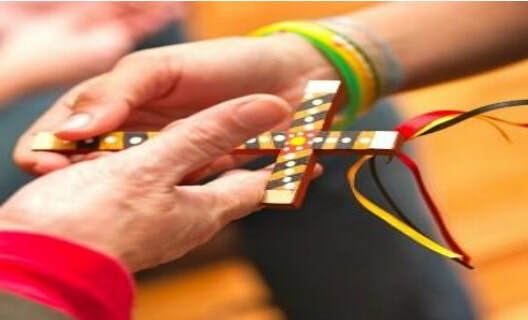 However, if your children are younger, you may still like to attend to learn strategies for the next stage. 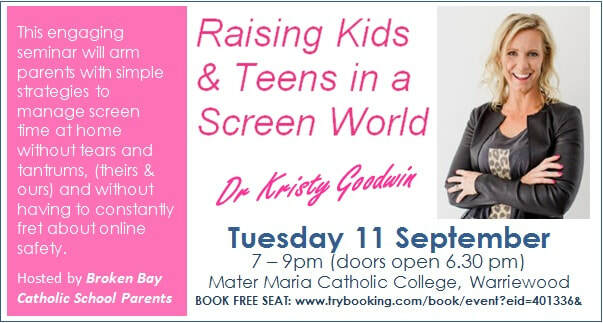 As a leading digital parenting educator, speaker, researcher, author and former teacher (and mum who deals with her kids’ techno-tantrums), Kristy translates the latest research into essential, digestible information and tips for parents and carers, so that they can safely navigate the digital terrain, without suggesting that kids be ‘digitally amputated’!